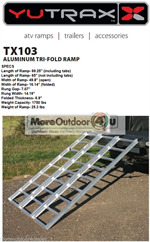 The lightweight Yutrax TX103 tri-fold aluminum ramp provides extra strength and portability. 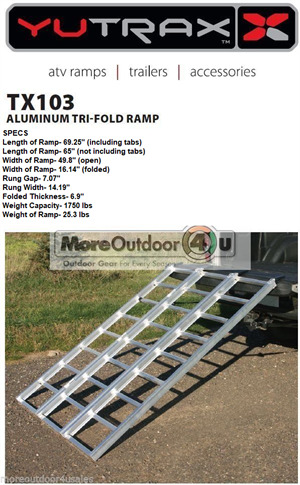 The high load capacity provides peace of mind when loading virtually any cargo. 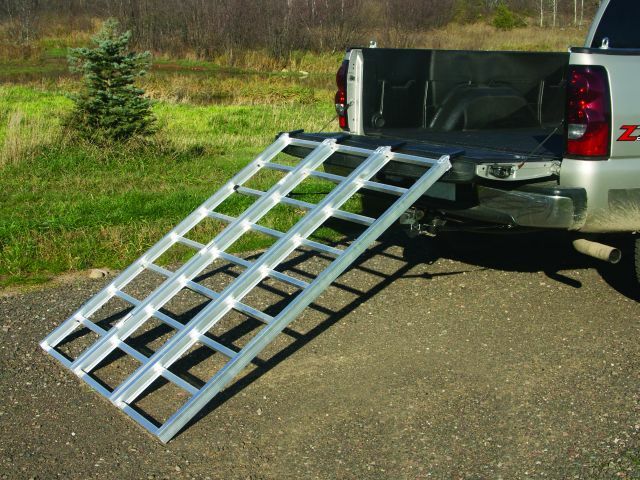 The ramp’s extruded rectangular side rails resist bending while the taller rectangular cross section supports more weight. 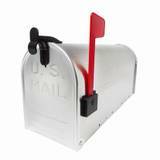 HIGH LOAD CAPACITY AT 1750 LB. DIMENSIONS OPEN	50" x 69"
DIMENSIONS CLOSED	17.5" x 69"